Despite a total lack of evidence, the belief that grains of wheat found in Ancient Egyptian tombs could produce bountiful crops was surprisingly hardy. In 1897 Dr William Thiselton-Dyer, director of the Royal Botanic Garden, attempted to germinate grains of wheat taken from a 3,000-year-old Egyptian tomb. The wheat was a gift from E.A. Wallis Budge of the British Museum, who had found it inside a wooden model of a granary taken from the burial chamber by tomb robbers. Budge and Thiselton-Dyer waited patiently for any signs of life from the dark brown, desiccated wheat, planted and tended carefully under optimal laboratory conditions. To their great relief, none were forthcoming: after three months the earth was turned over and the wheat grains had dissolved into dust. The popular belief that Ancient Egyptian wheat could germinate after millennia buried in tombs was an extraordinarily pervasive myth in Victorian Britain and beyond, flying in the face of a wealth of experimental data and basic common sense. The 1897 experiment was not the first scientific attempt to investigate and debunk the myth of ‘mummy wheat’, nor would it be the last. 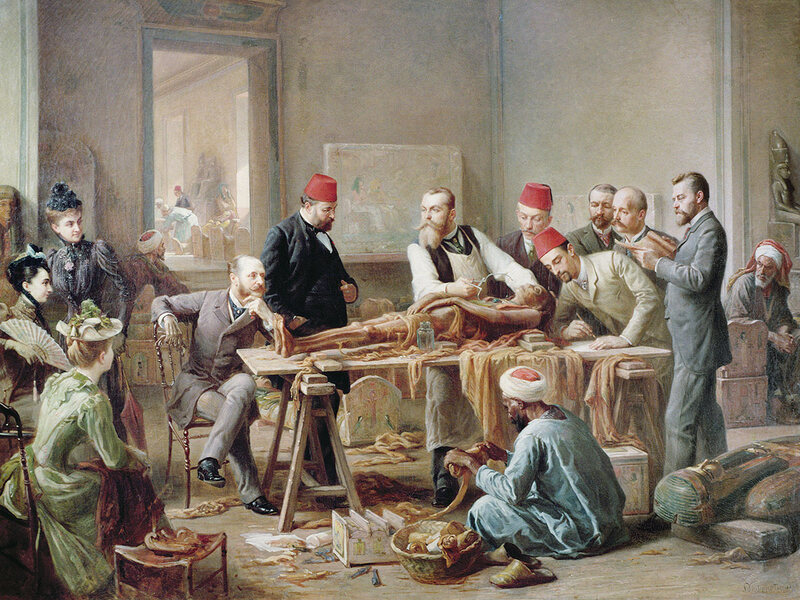 The debate over mummy wheat drew in botanists, Egyptologists, writers, mystics and charlatans: its traces can be found in their papers and in Victorian writings on science, poetry and religion.